Livestamin Glucosamine + MSM Tablets with Calcium and Vitamin D3 contain effective nutrients for supporting healthy joint function. 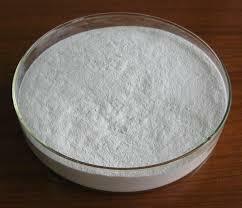 Being a well-renowned entity, we are engaged in providing a distinguished range of Vitamin D3 Powder. 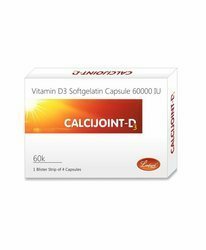 We are highly acknowledged organization engaged in presenting remarkable range of Bone Care Tablets(1000 Mg). Description : Cholecalciferol (Vitamin D3) is a vitamin derived from 7-dehyrocholesterol; however, Vitamin D3 acquires hormone-like actions when cholecalciferol (Vitamin D3) is converted to 1, 25-dihydroxy Vitamin D3 (Calcitriol) by the liver and kidneys. As a hormone, Calcitriol controls phosphorus, calcium, and bone metabolism and neuromuscular function. Cholecalciferol 60000IU Oral solution in 4 single use plastic bottles. Made sugar free keeping in mind for ealderly diabetic patients too. Vitamin D3 Strips are just a D-fence for your health. Our unique formulation of D3 strips induces to build a strong Immune system and strong bones. These strips can also reduce probability of Type 1 Diabetes. Each strip is tasty and carefully formulated with Vitamin D3 and Calcium. Converge Bio Tech Pvt. Ltd.